-Activist Bree Newsome has been dis-invited to a planned appearance at Asheville Middle School this week. Newsome will be in town for the opening of a new art exhibition at the YMI. The exhibition features portraits of civil rights leaders by artist Robert Shetterly, who will also be at the exhibition and unveiling a portrait of Newsome (that event is happening at 4:30 p.m. on Saturday). Newsome was arrested after she climbed a flagpole on the grounds of the South Carolina statehouse and removed a Confederate flag that was flying. The organizer of the exhibition, Ellie Richard, registered her objection to the decision before the Asheville City Board of Education on Monday night. The board took no action. Newsome will be speaking to Asheville-Buncombe Technical Community College students on Friday. Details here. I have had the chance to help advance the art of some of the finest, most talented, and hardest-working people I have ever known, as well as to do the work that most mattered to me, and I could not be more proud of all we have accomplished together. I am also more than appreciative of the adventuresome audiences that supported and praised this work. Unfortunately, the board of directors relieved me of my duties Friday evening, and there is much I planned to do that will either have to be abandoned or done a different way. I am touched by and grateful for the thoughtful words of encouragement I’ve already received from so many, including those anxious to continue working with me and even to help me found a new company, should I decide to do so. -Tedeschi Trucks Band will play Thomas Wolfe Auditorium in Asheville on Jan. 20. Tickets go on sale Sept. 28. –Mountain Xpress reporter Jonathan Ammons has more detail about the shake-up at Local Provisions following the departure of chef Justin Burdett. Local Provisions, and Burdett, have been lauded for the restaurants food offerings. Joe Fahey is now chef at the restaurant, Ammons reports. -The marketing of new residential subdivisions has kicked into high gear over this past year as Asheville’s red hot real estate market has continued its meteoric rise. The latest event is Mosaic Realty’s event introducing Malvern Walk in West Asheville. The other event I noticed was the kick off for Craggy Park, a GreenBuilt home development off Louisiana Avenue, also in West Asheville. –Check out this latest video in the Southern Songs and Stories series, produced by Joe Kendrick and featuring the Jon Stickley Trio. -Steve Martin and the Steep Canyon Rangers, of Brevard, get the NPR Tiny Desk Concert treatment. I believe it was due to a recent tragedy. A teacher’s two kids were killed in an auto accident. The teacher and one kid were part of the middle school. Lots of grief. 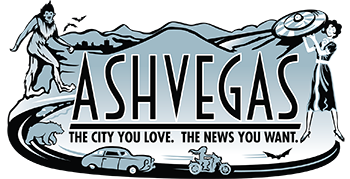 I love Ashevegas normally but this type of reporting is very sloppy Jason Sanford. You should include facts. A reasonable person may draw wrong conclusions. The decision to rescind the invitation was made and announced during the day Tuesday before the accident happened. There is no relationship between the two events. I have seen plenty of butts in seat since I became a regular patron in 2015 (and they seldom included the people I saw at ACT or NC Stage)…until this year. I certainly hope TMT’s solution is NOT to join ACT and NC Stage in showing more safe, recycled Broadway “granny theater”. They could do with a few less F-bombs (the adult language gets a bit gratutious at times) but Asheville needs the kind of original, edgy, thought-provoking work that TMT has always done more than it needs another (re-)production of “Greater Tuna” or “Glass Menagerie”. Sorry to hear about Steven Samuels’ dismissal. Honestly, I was hit-and-miss on the plays he produced and directed, but he seemed to be a very nice guy and his enthusiasm for local theater was infectious. I have noticed a pronounced drop in attendance at The Magnetic Theatre in the last year and cannot help but wonder if there is a connection. To be fair, some of the poorly attended productions were NOT shows that Samuels produced, directed or acted in, but as Artistic Director, the buck did stop with him, so maybe this will turn TMT around. I do wish him well whatever the future holds. It seems to me that Samuels was trying to push the boundaries of what Asheville audiences want normally to see, mostly light comedies and musicals. Is there an Asheville audience for more challenging stuff? Or were his choices of challenging stuff not good? There’s no explanation as the reason or who made the decision to dis-invite Bree Newsome. Any more info?